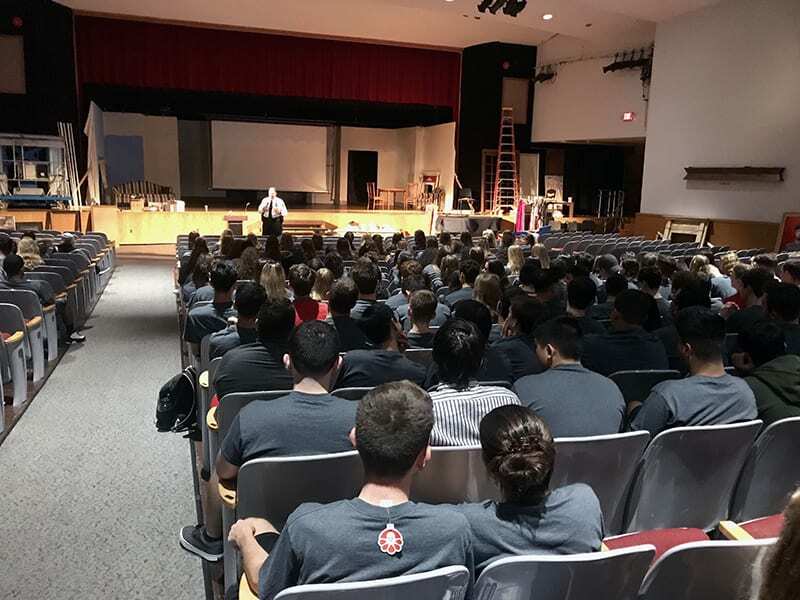 Rockland County Sheriff Police Division Chief and Tappan Zee High School alumnus William Barbera spoke with the Class of 2019 today about drug use and the importance of making good decisions. He emphasized that students should contact the police if they or their friends need help, advised them to be careful with social media use and urged them to think carefully about getting into a car with someone who is under the influence. Chief Barbera also urged students to help each other and shared information about protections under the Good Samaritan Law. “If you’re ever in an uncomfortable or dangerous situation, find a way out by having a code word with a friend,” he recommended.